Looking for a unique Father’s Day gift that you can’t buy at the store? Remind Dad of how much he means to you by giving him a one-of-a-kind handblown glass this Father’s Day. Dads tend to be very busy men, so any excuse they might get to relax is golden. GlassblowerBen handblown glasses are the perfect reason for Dad to pour himself a drink after a long day of “dad duties. Our custom glassware is hand-stamped and you can choose from a wide selection of engraves to make Dad’s gift as unique as he is. All of these glasses are perfect for Father’s Day because they can be personalized to share the exact message you want to send. These aren’t delicate cocktail glasses; they are hefty and sturdy bar essentials. Father’s Day is all about being outside, enjoying valuable family time, and drinking some delicious craft beer. Because today is all about chilling out with a cold glass of beer, give Dad a glass that holds a full 16 ounces of it. This handmade custom glass beer pint adds a little sophistication to any afternoon drink.This is the largest glass GlassblowerBen carries and this unique Father’s Day gift can be customized in the same manner as our other glasses. Choose from a number of stamps or have Dad’s name engraved in all caps on the bottom if you wish. Once Dad gets his hands on one of these novelties, he’ll be happy to have something to sip out of when he’s watching the game with his friends. Whether you’re from Louisiana or just a fan of the Sportsman’s Paradise, this hand-stamped custom Louisiana glass is the perfect way to say “thank you” on Father’s Day. This glass comes in six different sizes and is engraved with your favorite state on the bottom. Not from Louisiana? Choose your own state to make a personalized whiskey glass for Dad. As soon as your dad finishes sipping his favorite liquor out of this glass, he’ll be happy to see a replication of the state both of you love. Choose GlassblowerBen’s most popular glass as a unique Father’s Day gift this year. This glass is the star of the show as it holds just enough whiskey to calm Dad down after a long and hard day of work. It’s got a large and thick base, which gives it a sturdy feel when it’s held in the hand.Because this glass is so substantial it’s a great collector’s item if Dad doesn’t plan on drinking out of it. If you plan on giving him this glass to be used that way, be sure to get his name or a special message stamped on the bottom to give it a more personal feel. Whichever glass you plan on getting your Dad this year, a unique Father’s Day gift will help you stand out from your siblings. Once he gets his first hand-stamped glass, he’s sure to want to complete his custom glass collection. 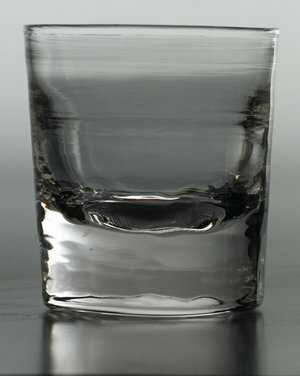 Our glasses a the perfect gifts for every holiday, bachelor party, wedding, or special event. Buy one of Ben’s handblown glasses today!